Volkswagen recently employed a quick settlement strategy to deal with the fallout from its admission, in September 2015, that it had installed software to cheat on emissions tests on 11 million diesel powered Volkswagen and Audi vehicles. On October 15, 2015, a recall of approximately 8.5 million vehicles in Europe was announced. By December 2016, Volkswagen had reached interconnected settlements with regulators and class action plaintiffs in the US and Canada. Volkswagen’s strategy was obviously designed to put as much distance between itself and the emissions scandal, as quickly as possible, in order to begin repairing the damage to its brand. The question is, how much mileage did Volkswagen get out of this strategy? Did it pay more, or less, than it would have otherwise? Is Volkswagen’s strategy a model for other major brands facing similar crises, or an exceptional case? In early September 2015, Volkswagen disclosed to the California Air Resources Board (CARB) and the US Environmental Protection Agency (EPA) that its emissions software in 2.0 litre four cylinder diesel vehicles in model years 2009 to 2015 contained hidden software, known as a “defeat device”, that could recognize when a vehicle was being tested and lower its emissions of nitrogen oxides in order to pass the test. It turned out that its clean diesel vehicles were not so clean after all: when driven on the road, they emitted as much as 40 times the EPA permitted limit of nitrogen oxide. Volkswagen acted quickly. By September 18, the scandal had become public. By September 25, Volkswagen had a new president, Matthias Muller, who promised “swift and relentless clarification” to “win back the trust we have lost”. In early October, Volkswagen’s board appointed a special committee and retained counsel (Jones Day) to conduct the investigation. Jones Day secured and began pouring over 102 terabytes of data. The Jones Day investigation ultimately determined that in 2006, Volkswagen engineers began to design a new diesel engine that would meet stricter US emissions standards and could be marketed to consumers as “clean diesel”. When they realized that they could not design an engine that would meet the standards and still be attractive to consumers, they decided to use software to cheat US emissions tests. The software could recognize when the vehicle was being tested by recognizing the standard drive cycles used in the tests. When the system recognized that it was being tested, it operated in a mode that satisfied the emissions standards. Otherwise, the system operated in a mode that reduced the effectiveness of the emissions controls substantially, leading to much higher nitrogen oxide emissions. Meanwhile, on October 8, Volkswagen Group of America, Inc.’s president, Michael Horn, appeared before a Congressional committee to admit to Volkswagen’s wrongdoing. In November, the scandal spread to Volkswagen’s 3.0 litre diesel engines. Meanwhile, more than five hundred class action lawsuits were filed in the US and Canada. By December 2015, 63 actions in various US federal court districts had been centralized and transferred to the Northern District of California. The transfer order notes the existence of another 451 potentially related actions filed in over 60 federal districts. In Canada, four competing sets of class actions were filed. A consortium of seven firms, including Ontario firms Sutts Strosberg and Siskinds, and BC firms Branch MacMaster and Camp Fiorante, was ultimately awarded carriage in Ontario, over Merchant Law Group, Kim Orr, and Campisi, who each filed separate class actions. All of these actions, except Campisi’s, were filed in Ontario. Campisi filed in the Federal Court. The consortium and Merchant also filed competing class actions in Alberta and Saskatchewan. The two Alberta actions were stayed, while carriage and stay motions were argued in Saskatchewan. Regulators also acted. In the US, the Department of Justice filed a civil lawsuit on behalf of the EPA in early 2016. The Federal Trade Commission and CARB also filed civil lawsuits. The DOJ also commenced a criminal investigation and, on January 11, 2017, obtained indictments of six Volkswagen executives who are believed to be responsible for the wrongdoing. In Canada, the Competition Bureau started investigating in September 2015 and opened a formal inquiry in early 2016. These enforcement proceedings took a two-pronged approach: the EPA and CARB focused on harm to the environment caused by excessive nitrogen oxide emissions while the FTC and the Competition Bureau looked at the harm to consumers caused by VW’s deceptive marketing of their “clean diesel” engines. Volkswagen began settlement discussions almost immediately. After a marathon four month negotiation amongst Volkswagen, US regulators (DOJ/EPA, CARB, and the FTC), and the class action plaintiffs (represented by a court-appointed plaintiff steering committee (PSC)), a series of interconnected partial settlements were reached in the US beginning with a settlement addressing approximately 475,000 vehicles with 2.0 litre engines on June 28, 2016, another, on December 20, 2016, addressing a further 80,000 vehicles with 3.0 litre engines, and finally, on January 11, 2017, addressing criminal and civil penalties and injunctive relief. The Canadian settlements followed a similar pattern: interconnected settlements of the Competition Bureau investigation and the class actions in relation to approximately 105,000 vehicles with 2.0 litre engines were announced on December 19, 2016. Claims relating to 3.0 litre vehicles in Canada have not yet been settled. The settlements covered both Volkswagen and Audi branded vehicles. Even before the settlements were reached, in December 2015, Volkswagen established a program offering owners of affected vehicles a $500 pre-paid MasterCard, credits for services at dealers, and three years of roadside assistance. Current owners and lessees who purchased their vehicles after September 18, 2015, receive only the approved emissions modification, extended emissions warranty, plus a cash payment. Some former owners and lessees are eligible for cash payments. The settlements have a number of unique features. First, Volkswagen set a “land speed record”, as one US lawyer put it, in reaching the settlements. The time of the disclosure of the clean diesel scandal to the court approval of the first settlement was just over one year. During this time Volkswagen had to complete a complex internal investigation; a number of US regulators had to complete their own investigations; and settlements had to be negotiated. Second, the involvement of both regulators and class action plaintiffs in simultaneous and interconnected negotiations may well be a first. The Canadian consent agreement notes that both Volkswagen and the class action plaintiffs consulted with the Bureau on the class action settlement. Third, the interconnectedness of the regulatory and class action settlements is unique. This interconnectedness manifested itself in several ways. In the US, Volkswagen committed to achieve an 85% success rate in either removing the 2.0 litre vehicles from the road or fixing them, both nationally and in California. If this target is not reached, Volkswagen must pay penalties of US$85 million for each percentage point it falls below the target nationally, and US$13.5 million for each percentage point it falls below the target in California. The same targets, with smaller penalties, apply to the 3.0 litre vehicles. In Canada, the class action settlement formed part of the consent agreement filed with the Competition Tribunal. The consent agreement provided that if the class action settlement were not approved by the appropriate courts, then the consent agreement would be null and void. The consent agreement also notes that the Bureau took into account the amounts to be paid to affected Canadian consumers under the class action settlements. Fourth, the notice program was comprehensive and extremely effective. In approving the Canadian settlement, Justice Belobaba noted that the “the overall comprehensiveness of the proposed notice program is unprecedented in Canadian class action case law”. In the US, there were 811,944 mailings to owners and lessees of eligible vehicles; a settlement website that attracted over 1million unique visits; 453,797 emails to people who registered at the website; online banner ads on Google, Facebook, Instagram, Twitter, and LinkedIn that achieved over 112 million internet impressions; a call centre that received over 130,000 calls; and of course ads in national and local newspapers. The program was extremely effective: by the October 8, 2016, settlement hearing, 336,612 class members had registered for settlement benefits. The various settlements have been approved by the applicable courts. On October 25, 2016, the US District Court for the Northern District of California approved the settlements with the DOJ/EPA, FTC, CARB, and 2.0 litre class action plaintiffs. On February 16, 2017, that court approved the 3.0 litre settlement. In Canada, the Ontario Superior Court approved the 2.0 litre settlement on December 20, 2016. 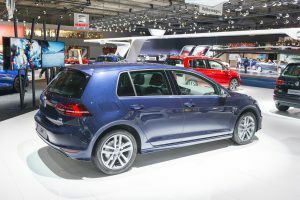 At the time that the settlements were concluded, Volkswagen did not yet have approval for emissions modifications to bring the vehicles into compliance with EPA standards. On January 6, 2017, Volkswagen received regulatory approval from the EPA for modifications to the 2.0 litre vehicles. It does not yet have approval for modifications to the 3.0 litre vehicles. Although the Ontario Superior Court award carriage to the consortium of plaintiff firms on December 4, 2016, after Merchant agreed not to contest carriage having carriage in Ontario, the Merchant firm sent an email in January 2017 to 9,500 recipients urging them to join a Merchant class action. Justice Belobabba of the Ontario Superior Court held that Merchant had breached the carriage order by sending out an “undisguised attempt to scoop potential class members with misleading information”. Merchant proposed that a clarifying email should be sent out. Ultimately, the terms of the email had to be resolved by Belobabba J.
Belobabba J. held that Merchant’s breach of the court order was deserving of censure and condemnation, and awarded the consortium an elevated costs award of $40,000. The European Union has different emissions standards from those in the United States. In general terms, the EU’s standards favour diesel vehicles by allowing higher nitrogen oxide emissions and lower carbon dioxide emissions than the US rules. As a result, fewer of Volkswagen’s diesel engines failed to meet EU standards. In particular, a generation of diesel engines in use since 2012 was not affected. Since class actions are, with some exceptions, not available in EU countries, Volkswagen did not have to negotiate buy-backs or other payouts in the EU, and it did not offer compensation to motorists. Rather, the focus in Europe has been on fixing the affected vehicles so that they meet EU emissions standards. On October 15, 2015, a recall of approximately 8.5 million vehicles in EU countries was announced, after a decision by the German Federal Motor Transport Authority (KBA). Volkswagen obtained approval for modifications from the KBA in December 2015, and began fixing 2.0 litre vehicles in January 2016. Its program of recalls and modifications continued throughout 2016. Volkswagen has not entirely escaped litigation in Europe, however. The UK introduced a class actions regime in late 2015. Not surprisingly, a UK plaintiff class action firm filed a class action there in January 2017, seeking compensation for owners of affected vehicles. As well, German courts have begun ordering Volkswagen to buy back cars in cases brought by individuals. During the crisis, Volkswagen was also making strategic decisions. On October 13, 2015, it announced that, going forward, it would switch to installing only diesel drives with selective catalytic reduction and “AdBlue” technology. AdBlue is a water/urea fluid that is injected into the exhaust system to convert harmful nitrogen oxides into harmless water and nitrogen. Volkswagen claims vehicles with this system will be compliant with the new Euro 6 emissions standards. Those standards allow higher nitrogen oxide emissions than do US standards, however. Volkswagen also announced a greater focus on hybrid and electric vehicles. New normal or exceptional case? In pure dollar terms, Volkswagen’s settlements of the “clean diesel” scandal were extremely costly, totaling over US$20 billion in North America. The consumer buy-back provisions alone are worth about 113% of the retail value of the vehicles. It is probably impossible to say for certain whether Volkswagen saved money through its quick settlement strategy. Certainly it avoided astronomical legal bills associated with fighting what would likely have been a losing case. The penalties it agreed to pay were likely lower than they would have been had it not cooperated and also agreed to compensate consumers. Indeed, the Canadian consent agreement expressly notes the amounts paid to consumers, and adds that the Commissioner of Competition agreed to more favourable terms because of Volkswagen’s cooperation. Volkswagen faced much greater peril in the “clean diesel” scandal than having to pay large fines and damages awards, however. The company was caught committing a crime of dishonesty that involved putting cars on the market that emitted dangerous pollutants at up to 40 times the allowable limits. The scandal had the potential to be catastrophic for the Volkswagen brand. Indeed, Volkswagen began losing market share immediately after the scandal broke. By July 2016, its market share in the EU was at its lowest point since 2010. In the US, its February 2016 sales had fallen by 13% from the year previous. Its results in Canada were even worse: its February 2016 sales volume had collapsed by 28% from a year previous, pulling its market share from 4.3% to 2.9%. Volkswagen’s stock price also tumbled by about half in the immediate wake of the scandal, although it later recovered. In early 2016, a shareholder lawsuit was filed against Volkswagen in Germany. 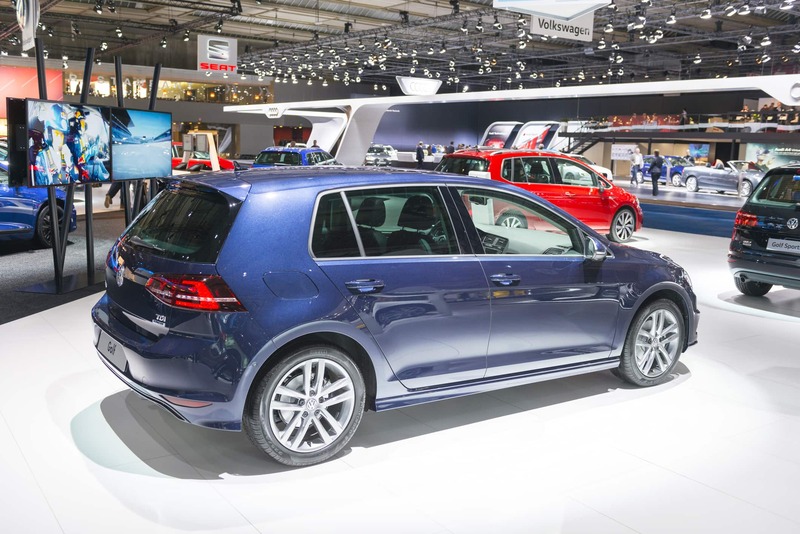 Did Volkswagen’s quick action avert long term damage? Only time will tell. Volkswagen’s stock is still well below its pre-scandal high. Volkswagen’s market share has yet to recover in North America. In January, 2017, it stood at 2.1% in the US and 2.7% in Canada, down from 2.6% and 3.6%, respectively, before the scandal. In Europe, however, its sales and market share began recovering in late 2016. In re: Volkswagen “Clean Diesel” Marketing, Sales Practices, and Products Liability Litigation, MDL No. 2672, Case NJ/2:15-cv-07012 (ND Cal). Transcript of proceedings, 18 Oct 2016, In re: Volkswagen “Clean Diesel” Marketing, Sales Practices, and Products Liability Litigation, MDL No. 2672, Case NJ/2:15-cv-07012, Document 2079 (ND Cal). Consent Agreement, recitals, p. 4.